Having endless stamina and not satisfied by 3 or 4 days Beijing whirl? 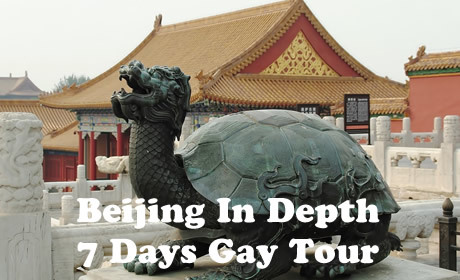 This Beijing gay tour may stop your thirst to see more. 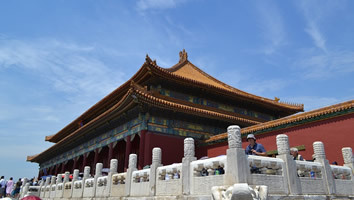 Highlights of this tour includes Temple of Heaven, Tiananmen Square, Forbidden City, Summer Palace, Hutong Rickshaw Tour, Beijing Roast Duck, Badaling Great Wall, Ming Tombs-Changling, Marco Polo Bridge, and Beijing Zoo. Despite a reputation for conservative social policies, China’s capital city packs an electric gay scene plus excellent LGBT-friendly restaurants, microbreweries, cafes, galleries, and more. 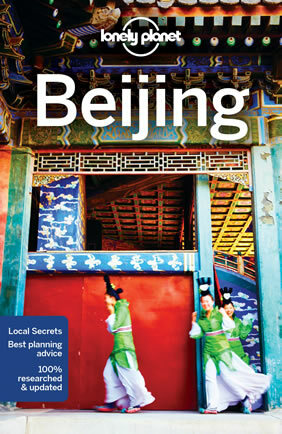 Beijing truly juxtaposes the old and the new these days—ancient hutongs (residential alleyways) populated with fresh boutique businesses, modern takes on culinary staples like Beijing duck, abandoned factories turned into thriving arts districts, and an under-the-radar yet energized LGBT scene. With private tour guide, driver and vehicle waiting aside, this tour package is designed for giving our clients who need more flexible and comfortable tour experience. During the tour, you are not only to enjoy the scenic spots, but also to have the introduction about the gay/Lesbian history and culture in China, and the recent development of the LGBT scene. In addition, our gay/Lesbian tour guide will take you to the best Gay & Lesbian bars and clubs that you can enjoy the evening with locals. With all-inclusive travel package, time-clock running tour arrangements, real highlights of China and best gay/lesbian bar, this tour give you more definitely. Enjoy your China Gay/Lesbian tour. Moreover, the gay friendly hotel we arranged is that was recommended by IGLTA for perfect hotel facilities, such as wifi, indoor swimming pool, comfortable rooms, great food, etc. The original golden oldie. Despite being Beijing's longest-established LGBT venue (it was launched around 2004), Des, as it’s affectionately known to locals, has managed to remain top dog. The popular Friday and Saturday spectaculars are among the best-attended and most colourful in town, and the multi-level layout prevents most spaces other than the heaving dance floor from ever being intolerably overcrowded. International guest DJs and occasionally a sprinkling of go-go boys, drag queens or even the odd celebrity arrive on weekends to sweeten the pot. Drinks are buy-one-get-one-free before 10pm. Entry charges vary and usually include a free drink. 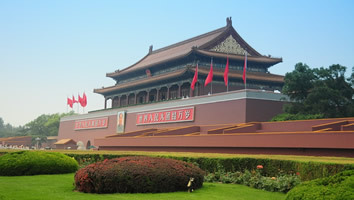 The Tiananmen Square is the largest city square in the world (440,000 square meters), which was originally designed and built in Beijing in 1651 and enlarged to its present size in 1958. Nowadays, it has become a great relaxing place for the common people to do exercises, and on holidays, the whole square will be covered with fresh flowers. Meanwhile, it is sitll the key tourist area of Beijing for here has Tianan'men Gatetower, Monument to the People's Heroes, Chairman Mao Memorial Hall, Great Hall of the People, China Revolutionary Museum and Museum of Chinese History. If you have chance, the Tianan'men Flag Raising Ceremony should not be missed. Chinese military honor guards march with perfect rhythm and synchronicity to raise or lower the national flag. 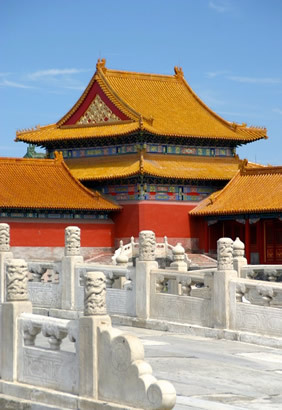 Located at the city center and called Gu Gong in Chinese, Beijing Forbidden City was the imperial palace for twenty-four emperors during the Ming(1368-1644) and Qing dynasties(1644-1911). Lying to the north of Tiananmen Square it is the world's largest palace complex and covers 74 hectares. Surrounded by a 52-meter-wide moat and a 10-meter-high wall are more than 8,700 rooms. Construction of the palace complex began in 1407, the 5th year of the Yongle reign of the third emperor (Emperor Chengzu, Zhu Di) of the Ming dynasty. It was completed fourteen years later in 1420, and then the capital city was moved from Nanjing to Beijing the next year. 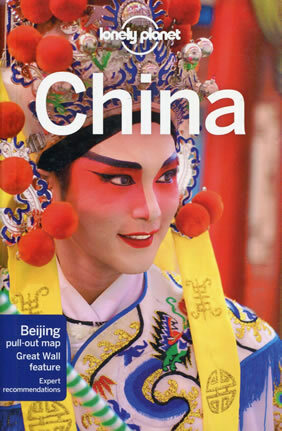 Here is the right place to know the China's glorious past and imperial culture. 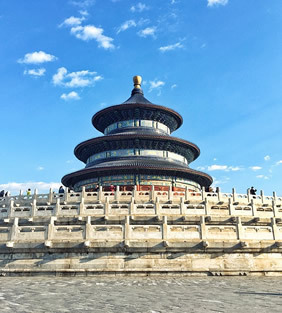 Listed in the World Heritage List in 1998, Temple of Heaven was used to hold a memorial ceremony for the God in Winter Solstice Festival and to pray for harvest in the first month of the lunar year by the emperors in Ming and Qing dynasties. It is China's existing largest structure for sacrifice to heaven. Built in the first half of the AD 15th century, it is located in the royal gardens and surrounded by ancient pines. Here you can find the ancient China's philosophy on the relationship between the heaven and earth, which dominated the whole ancient China's history. If you want to know Beijing culture and local history, Hutong should not be missed, and the best way to tour Hutong in limited time should be the rickshaw which saves time and energy and enlarges your tour range. The lanes have their own layout and structure, and when viewed from the air the combination of the lanes and courtyards resemble a chessboard with delicate gardens, fine rockeries and ancient ruins this makes them a wonder in the world. In the past, Beijing was composed of hundreds of courtyards around the Forbidden City, and these lanes stretched out in all four directions, connecting the different kinds of courtyards in the city. However, as the requirement for city construction, the number of them has fallen dramatically from 3250 to 1000. 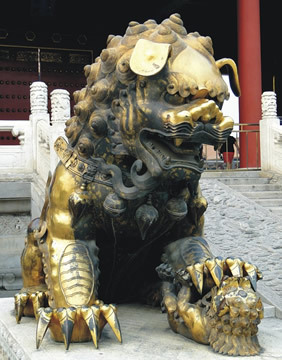 Built in 1694 during the Qing Dynasty (1644-1911) as the residence of the Emperor Yongzheng (the third emperor of the Qing Dynasty) before he ascended the throne, Yonghe Lama Temple is the largest and best-preserved lamasery in Beijing. in 1744, the residence was completely converted into a lamasery, so the features make it very different and unique from others, looks like a mini-palace with yellow glazed tiles on the roof and red walls circling the group of buildings. The original Summer Palace was built for celebrtaing the birthday of Emperor Qianlongs' in Qing Dynasty (1644-1911) but burnt down by Anglo-French allied forces in 1860. Rebuilt in 1888 by Empress Dowager Cixi but destroyed by the Eight Power Allied Forces in 1900. What you can see was rebuilt since 1903 though some architectures are destroyed forever. 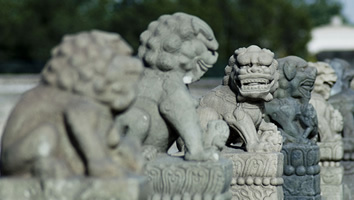 It is the largest preserved imperial garden and a former summer retreat for emperors. 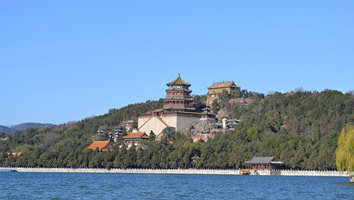 the 726.5 acres' area and three quarters water, Summer Palace is a perfect example of refined craftwork with finest materials, Longevity Hill, Kunming Lake etc with over 3,000 structures: pavilions, towers, bridges, corridors etc. 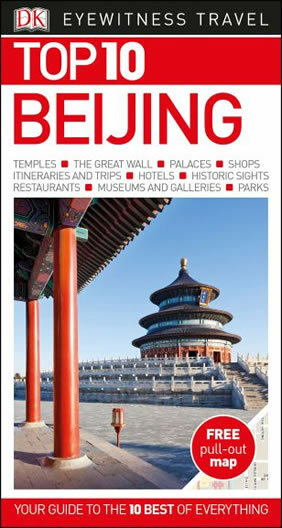 Usually, climbing the Great Wall, enjoying Beijing Opera and savoring Beijing Duck are considered as three "musts" for those visiting Beijing for the first time. The traditional method of preparing Beijing Duck has a history of over 100 years with many legendary stories. Nowadays, Beijing has several restaurants offering decent Beijing Roast Duck with different flavors, such as Quanjude and Pianyifang. Located in Yanqing County Beijing, Badaling Section Great Wall is an important pass of the Ming Great Wall as a part of the great defensive project. 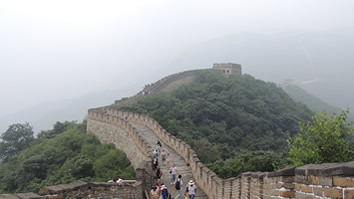 Badaling is in the first place among the nine forts and a unique representation in the Ming Great Wall. Due to its high position with a steep terrain, it had become an important military pass in Ming dynasty and barrier against enemies in Beijing. It is the earliest opened spot of the Ming Great Wall to tourists. 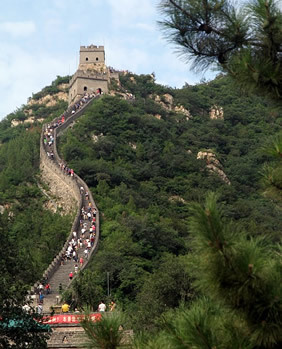 The Badaling scenic spot includes Badaling Great Wall as main part, Badaling Hotel, the Great Wall Museum of China whose name was dedicated by former President Jiang Zemin and other fully functional modern facilities for tourism service. The scenic area is well-know to the world by its grand landscape, perfect facilities and profound cultural historical connotation. Located at the south foot of the Tianshou Mountain Beijing, the Changling Mausoleum of Ming Dynasty (1368-1644) buried both Emperor Zhu Di and Empress Ms. Xu. Among the imperial mausoleums of the Ming Dynasty, Changling Mausoleum is the largest and best-preserved one with the longest history.The construction in Changling Mausoleum covers a floor area of about 120,000 square meters, with square layout in the front and round in the back. The square part in the front is composed of three linear yards connecting one another. Changling is famous for its well preserved Ling'en hall (the Hall of Eminent Favor), made of a rare type of hardwood known as Phoebe nanmu. 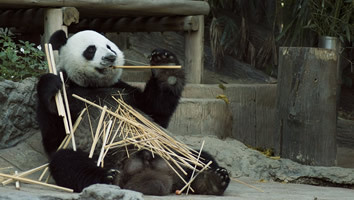 Kungfu (Wushu or martial arts) is one of the Chinese ancient traditional sports and valuable Chinese cultural heritage. It is very rich in form and content, encompassing hundreds of styles and thousands of routines. Many Chinese people practice Wushu for the purpose of health, physical training and self-defense. Kungfu Legend Show in Beijing Red Theater follows the story of a young boy trying to fulfill his dream of becoming a Kung Fu master. backgrounded with grand music, fused with ballet, acrobatic and modern dance, Legend Kungfu Show has many and impressive hard Qigong performance inserted, such as Lie on the nails board, break stone on chest, throat breaks spear. Meanwhile, you can see the tiger/leopard/snake/duck/monkey/eagle/scorpion/frog style boxing and many traditional weapons related. Lugou Qiao, or Marco Polo Bridge, is one of the earliest segmented stone arch bridge about 16 km in the outside of Beijing, which is built in 1192. 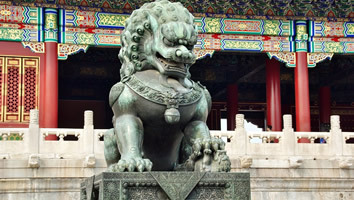 It is 260 meters long and has 250 marble balustrades supporting 485 carved stone lions. In ancient times the bridge was renowned for its spectacular views of the moon during the Mid-autumn Festival, which is also the reason why the bridge was listed into the "Eight Scenic Spots of Yanjing" under the title "Lugou Xiaoyue"(Moon Over Lugou at Night). Lugou Bridge is also known for the "Lugou Bridge Incident" on July 7th, 1937. During the next 8 years, Japan occupied most of China and killed millions of Chinese. Situated to the west of Beijing Exhibition Center, Beijing Zoo covers an area of over 40,000 square meters and houses over 7,000 creatures of 600 different species, including the giant panda, red-crowned crane and Pere David's deer-all unique to China-as well as the African giraffe, rhinoceros, chimpanzee and antelope; American continent; wild ox from Europe; and elephant and gibbon from India. Originally, it was known as the Sanbeizi Gardens in the 18th century, supposedly named after the third son of Emperor Kangxi, Prince Cheng Yin. During the Qing, part of the Sanbeizi Gardens called the Garden of Continuity (Jiyuan) became the private property of an official in the Bureau of Palace Affairs. Tea ceremony is about making a good cup of tea to welcome guests in a elegant and beautiful way.The equipment, the gestures, and even the tea itself are all ways to bridge the everyday world with the lofty devotions of the tea disciple. Tea is picked and brewed with the utmost care to evoke the greatest beauty. The beauty of the tea is meant to inspire a humility and admiration. The humility and admiration among company strengthen the bonds of guest and host, the bonds of friends and family. Free day on your own! 7 Days Tour Only, Per Person, Double Occupancy. $500 per person deposit payment required at time of booking, balance payment due not later than 60 days prior to departure.